Chief information security officers (CISOs) are responsible for aligning security initiatives with enterprise strategy, programmes and business objectives, and are vital in organisational asset and data protection, risk management and business continuity processes. 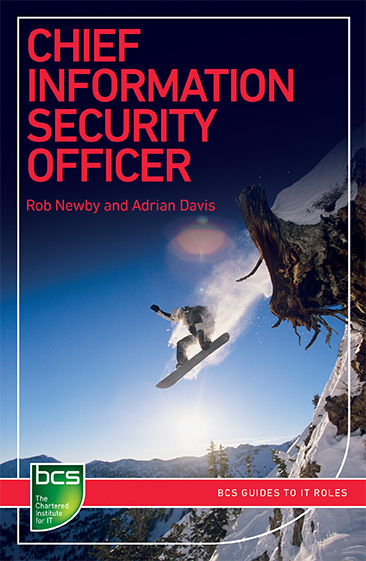 This practical book details the role of CISO in organisations, including responsibilities, required and desirable skills, industry standards and frameworks relevant to the role, career progression opportunities and case studies. The checklists and pragmatic tips in every chapter will help you get to grips with the role and prepare you for success. Rob Newby is a CISO, International Assurance Assessor for APMG International, and owner of Calix Consulting. Adrian Davis is formerly Managing Director for EMEA region at (ISC)2, co-editor for ISO/IEC 27036 part 4 and a contributor to the Analogies Project. Why Does The Chief Information Security Officer Role Exist?